The geopolitical landscape of the world is being remade by the increasing demand for energy resources from rising powers like China and India and preserved leaders, like the United States and Europe. 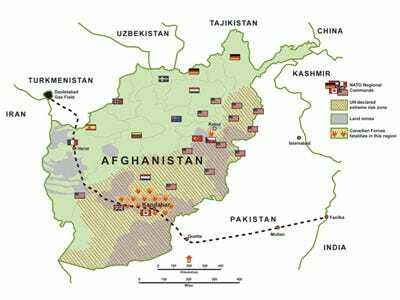 That demand is resulting in a massive expansion of oil and gas delivery projects which are redrawing the battle-lines of resource conflicts, both in war and in diplomacy. The oil and gas business is taking advantage of the demand, and we have a rundown of the key pipelines reshaping the global economy. 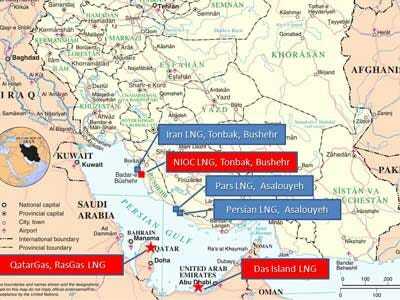 Strategic Impact: The key gas pipeline in opposition the Iranian offer in the region. 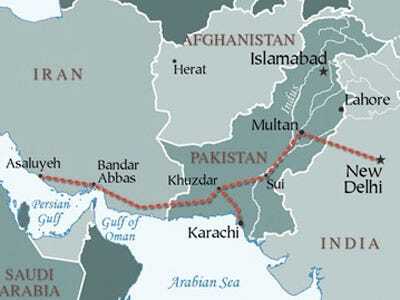 Backed by the U.S. government, this pipeline would further ostracize the Iranians economically by exporting gas to the key emerging economy of India, without involving Iran. 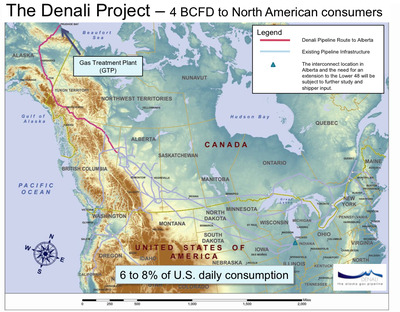 Strategic Impact: While two major groups are still competing over the project, the impact would be significant for the growth of the natural gas industry in Alaska, further reliance on the energy source in the U.S., and the potential involvement of Russian gas giant Gazprom in the project. Strategic Impact: Extensive use of shale oil on North American continent. Allows for reduced need of oil from non-North American sources. Significant business for U.S. refineries. 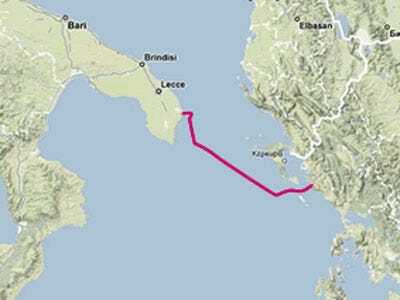 Strategic Impact: Provides a connector for gas travelling through other Southern European projects to Italy. 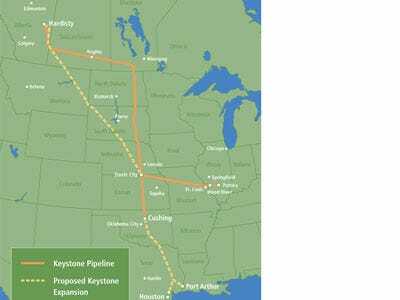 Depending on which pipelines it is eventually connected to, could be in the interest of Russia or another supplier. Strategic Impact: The strategic impact of this site is already being felt, as Russia went to war in the region in 2008. 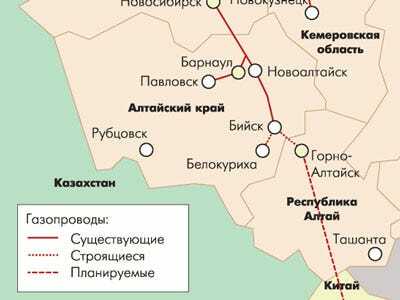 The pipeline also passes through Chechnya, a disputed Russian territory. 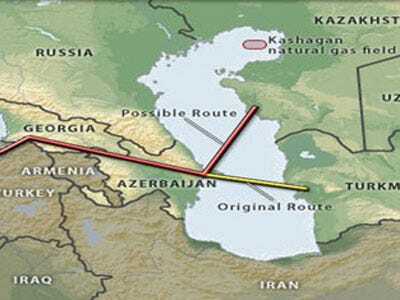 Strategic Impact: This pipeline provides a direct link between the Russian natural gas industry, specifically Gazprom, and the Chinese buyer. It creates a further strategic dependence for China on Russia for its energy needs, which could lead to further diplomatic tightening through organisations like the Shanghai Cooperation organisation (SCO), and in combined actions on the UN Security Council. 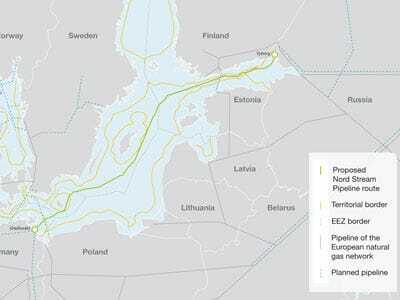 Strategic Impact: Russia's move to continue gas dominance over Europe, the pipeline is to offer gas directly to Europe, while bypassing the often troublesome Ukrainian middleman. Strategic Impact: A sign of a broadening energy partnership between Germany and Russia, this keeps Russia in the European game in a strong way. And also gives them a voice in Brussels via Germany. Strategic Impact: Serves as another route for Central Asian countries to avoid going through Russia to get to Europe to deliver their natural gas reserves. European markets therefore are serviced from more sources, reducing Russia's grip on the continent. Strategic Impact: Circumventing Russian dominance of gas markets, this pipeline would further compete with Russian power and give great E.U. connectivity to its neighbour, Georgia. Strategic Impact: Reducing the influence of Russia in European energy markets by supplying a link for the continent to Central Asian gas supplies. Broadens Turkish partnerships with Europe, and could eventually make use of Iranian gas reserves. 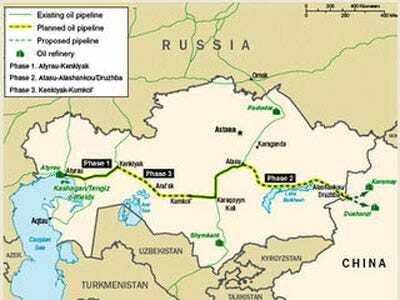 Strategic Impact: China's first direct oil import link, the pipeline serves to broaden ties between China and its Central Asian neighbours. These energy moves feed into a broader economic story evidenced by the Shanghai Cooperation organisation's growth in the region. 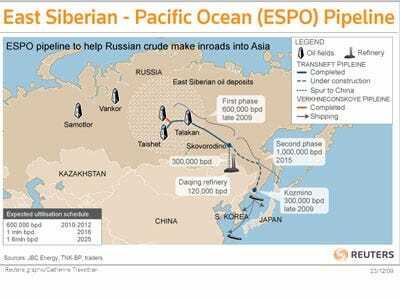 Strategic Impact: ESPO has the impact of tying China into its strategic partnership with Russia as it draws more from its neighbour's energy reserves. If Japan remains out of the equation, it may serve to bolster the China-Russia partnership, the SCO organisation they both lead, and continue to ostracize US allied Japan. Strategic Impact: Would give Iran access to European markets, competing with Russia for the gas trade. Completion would apply a strategic broadening between Turkey and Iran, as well as a reduction of U.S. strength in the region. 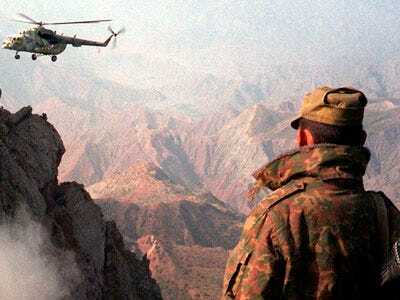 Strategic Impact: A definite power move for Iran if it pulls it off. With the potential to serve both Pakistan and India, both strategic U.S. partners with large populations and growing economies, with natural gas could broaden its protections from sanctions and keep its regime safe.